Home Diagnose yourself Life-threatening diseases often misdiagnosed!! Here is a list of diseases commonly misdiagnosed. These include a heart attack, stroke and all other conditions which may be life-threatening if not timely diagnosed. Patients with the same medical conditions can present differently. The classic presentation of disease, written in books is present in only a minority of patients in most conditions. Furthermore, specific population like Diabetics and elderly patients can have very minimal symptoms of even some serious diseases. Few of the serious diseases mentioned here may be misdiagnosed because of the various factors mentioned. Myocardial infarction or “heart attack” is the occlusion of a coronary artery, leading to the reduced blood supply to the myocardium. Why is this a serious condition? “Heart attack” or myocardial infarction is a serious condition because a reduction in blood supply to the heart may lead to a reduction in the pumping ability of the heart. The blood pressure may fall and the patient may go into a state of shock. Myocardial infarction may also lead to heart blocks and rhythm abnormalities and may lead to sudden death. Even if the patient survives the initial insult, the quality of life is impaired as the patient will have shortness of breath on exertion, body swelling, and syncopal attacks. Why this serious disease may be misdiagnosed? 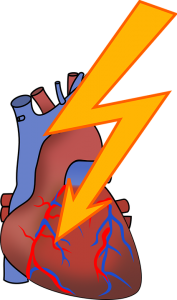 The classic presentation of a heart attack includes severe chest pain which is crushing in nature and associated with sweating. 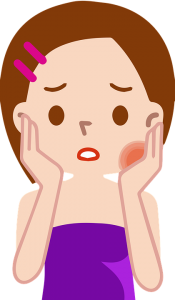 Only a subset of patients can present with these classic symptoms. Patients who can be misdiagnosed usually present with epigastric pain, jaw pain or a toothache, and pain in the upper shoulders. Thus they may be diagnosed as having a stomach problem, a tooth problem or a musculoskeletal problem. What are the warning signs suggestive of Myocardial infarction? 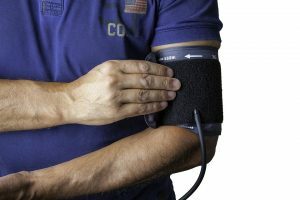 fluctuating blood pressure (hypotension or hypertension) and syncope. How is Myocardial infarction diagnosed? Myocardial infarction can be diagnosed by doing an ECG of the patient and requesting cardiac markers like CK-MB and troponins. 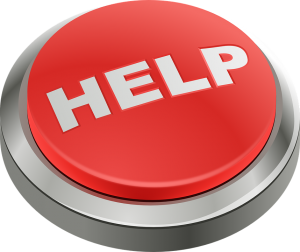 What emergency measures should be taken? The patient needs to visit the hospital immediately, especially if the above symptoms are present and if the patient is not getting better with the medicines prescribed by his doctor. The patient needs not to exert and be taken by the relatives on a wheelchair or a couch. The physicians after doing relevant investigations might put the patient on nitrates, aspirin, and beta-blockers. He/she may be advised for coronary angiography and or angioplasty. Pulmonary embolism is a very serious condition if not timely managed. It is the most common cause of sudden death worldwide and remains asymptomatic most of the times. Pulmonary embolism is the occlusion of the pulmonary artery by a clot, usually dislodged from the lower limbs. Blockage of pulmonary arteries leads to obstruction of blood flow from the right heart to the left heart. The patient may develop a sudden reduction in blood pressure and if the clot is massive and may lead to sudden death. Pulmonary embolism is a very serious condition since it causes sudden reduction and occlusion of blood flow from the right heart to the left heart. When the blood flow is completely occluded, it may cause sudden death. 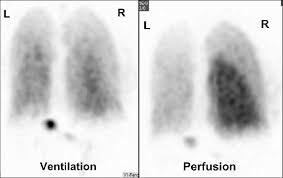 In submassive pulmonary emboli, the patient may develop pulmonary infarction, hemoptysis (coughing out blood) and pulmonary hypertension causing shortness of breath and generalized body swelling due to right heart failure. Why may it be misdiagnosed? Patients with pulmonary emboli may have very minimal symptoms. It is one of the commonly misdiagnosed condition. Symptoms may vary from palpitation, apprehension, syncope, and vertigo to severe chest pain and shortness of breath. 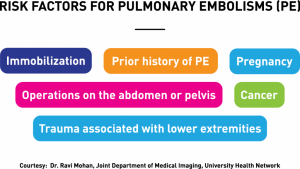 If the patient has the following risk factors, he/ she should be investigated for pulmonary embolism. Inactive or immobile for long periods of time. Have certain inherited conditions, such as blood clotting disorders or factor V Leiden. Are having surgery or have broken a bone (the risk is higher weeks following a surgery or injury). Have cancer, a history of cancer, or are receiving chemotherapy. Are bedridden or sit for long periods of time. Being pregnant or having given birth in the previous six weeks. Taking birth control pills (oral contraceptives) or hormone replacement therapy. Having diseases such as stroke, paralysis, chronic heart disease, or high blood pressure. Patients with a recent injury or trauma to a vein. Patients with severe injuries, burns, or fractures of the hips or thigh bone. Being above the age of 60. 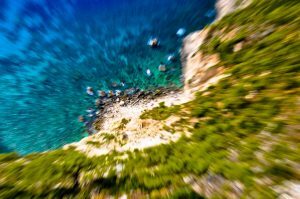 What are the warning signs suggestive of Pulmonary embolism? Pulmonary embolism is diagnosed by doing a blood test –the D-dimers, ventilation-perfusion scan or CT pulmonary angiography. Patients should be hospitalized and immediately started on anticoagulants (blood thinners). Common anticoagulants include heparin, enoxaparin, warfarin, and rivaroxaban. 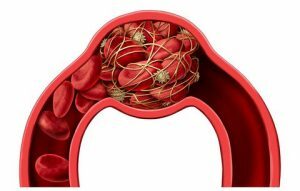 Stroke or a cerebrovascular accident (CVA) can be ischemic or hemorrhagic. Ischemic stroke is the occlusion of the blood supply to a part of the brain. Hemorrhagic stroke is bleeding in the brain parenchyma. Stroke is again a very serious condition. Stroke can lead to permanent disability in the form of limb weakness and aphasia. Major strokes may lead to loss of consciousness or even sudden death if the brainstem is involved. The classic stroke symptoms are sudden onset of a focal weakness, facial asymmetry, aphasia (inability to talk) or unconsciousness. A minor stroke can be easily missed. Furthermore, strokes involving the sensory pathways, the cerebellar cortex or the visual cortex may be very easily missed. Patients may only notice numbness or abnormal sensations, imbalance, vertigo or tremors. Attendants of the patient may notice that the patient is forgetful of things. Secondly, even if a physician suspects a stroke, the initial CT scan done within 24 hours may be inconclusive. Strokes involving brainstem and cerebellum may also be missed on a CT scan and requires an MR.
What are the warning signs suggestive of a stroke? 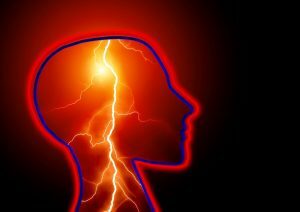 Apart from the symptoms mentioned above (limb and facial weakness, aphasia and altered mentation), any new onset focal symptoms should be investigated for a stroke. The patient may not be able to perform his daily activities or have a new-onset headache and vertigo not relieved with medicines. Stroke may be diagnosed by performing a proper neurological examination and doing a CT scan or an MR of the brain. Patients should be taken to a neurologist and may need hospitalization. Blood pressure may need to be lowered slowly. Risk factors are identified and treated accordingly. Diabetic emergencies include diabetic ketoacidosis (DKA), and hyperosmolar hyperglycemic states (HHS). DKA primarily affects type 1 diabetic patients and affect young children and adolescents although elderly patients may also be affected. Patients with insulin deficiency, who miss their insulin dose or have any type of infection may go into DKA. Blood sugars of the patients are usually above 250 mg/dl and the blood becomes acidic. Acidic blood leads to shortness of breath and may impair cardiac function. Contrary to DKA, HHS primarily affects type 2 elderly diabetic individuals. Patients have severe hyperglycemia (markedly raised blood sugars usually in the range of 800 mg/dl to 1200 mg/dl). 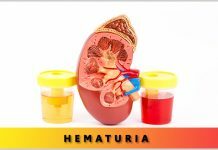 Markedly raised blood sugars leads to osmotic diuresis (excessive urination) causing severe dehydration. The blood becomes very thick hence the term hyperosmolar hyperglycemia. 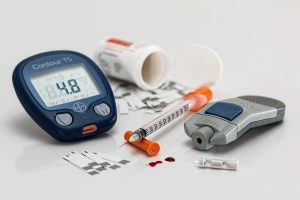 DKA is a serious condition since a delay in the diagnosis may lead to respiratory failure, renal failure, hypotension (due to acidosis) and cardiac rhythm abnormalities (due to deranged electrolytes). HHS has got a very high mortality because it can lead to renal failure, strokes, myocardial infarction, and pulmonary embolism. Why may these conditions be misdiagnosed? Patients may simply present with excessive urination owing to the hyperglycemia and be labeled as having a urinary tract infection. Others may present with a totally unrelated condition like pneumonia, urinary tract infection or acute abdomen. Patients in HHS may present with the complications like MI, strokes and pulmonary embolism and the physicians may be treating the complications without focusing on managing HHS. What are the warning signs suggestive of DKA and HHS? Any patient with excessive urination should have blood sugar checked. Patients in DKA may be short of breath with normal lungs and normal cardiac workup. Patients may have a characteristic sweet odor and deep sighing breaths in DKA. In HHS, patients may be diabetic missing his medications, have vertigo, ringing bells in the ears and blurred vision. 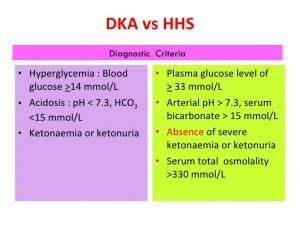 How is DKA, and HHS diagnosed? 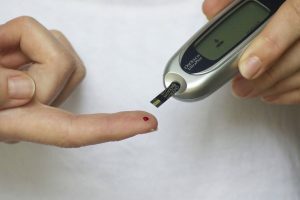 Both the conditions require blood sugars to be checked. Blood gases for PH and bicarbonate to look for acidosis along with plasma or urinary ketones are required to diagnose DKA. For HHS, apart from blood sugars, plasma osmolality needs to be calculated. In both conditions, renal functions and electrolytes should be measured. ECG should be recorded and patients with HHS may also require brain imaging. Both conditions require aggressive hydration and management of hyperglycemia with insulin infusion. Underlying aggravating factors like pneumonia and UTI should be treated. Complications should be identified early and managed accordingly. 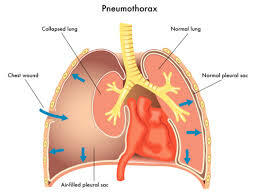 A pneumothorax is a condition where air starts accumulating outside the lung parenchyma and is trapped in the thoracic cavity. Excessive air accumulation within the thoracic cavity may lead to a rapid rise in pressure leading to a collapse of the lung. When the pressure rises to a certain level the heart may be pushed away as well. This will lead to hypotension and severe shortness of breath. Why may pneumothorax be misdiagnosed? Patients with pneumothorax usually have an underlying lung pathology like asthma, COPD, emphysema, bronchiectasis or lung cancer. This is called secondary pneumothorax. Patient with normal lungs may develop a pneumothorax after exertion or a cough. This is called a primary pneumothorax. Pneumothorax may present as chest pain which may be attributed to the underlying lung pathology or be labeled as muscular. The symptoms may be so rapid that the physician may not be able to timely investigate the patient. All laboratory workup is usually normal. 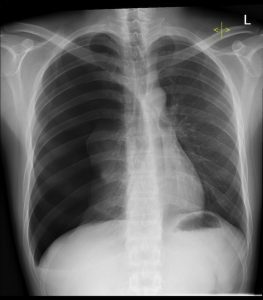 A chest X-ray may identify a pneumothorax but a small pneumothorax may be missed by the physician and the patient sent home. What are the warning signs suggestive of a pneumothorax? Patients with a pneumothorax may present with chest pain specifically aggravated by coughing and inspiration. 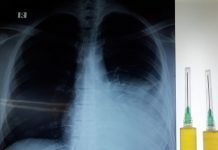 Patients with chronic lung diseases like asthma and COPD with symptoms resistant to adequate management should have a CXR done to rule out a pneumothorax. Physicians might notice a shift of trachea, apex beat and hyper-resonant chest on one side with absent breath sounds. Apart from a good examination of the chest, x-ray chest of the patient in full expiration is a must for the diagnosis. Ultrasound and a CT may be required in difficult cases. Patients should be given high flow oxygen. Needle thoracotomy followed by a intubation may be required especially in patients with tension pneumothorax. Previous articleBrain dead but alive – Physicians must take extra caution!!. Our physiology sir used to say diseases dont read books.